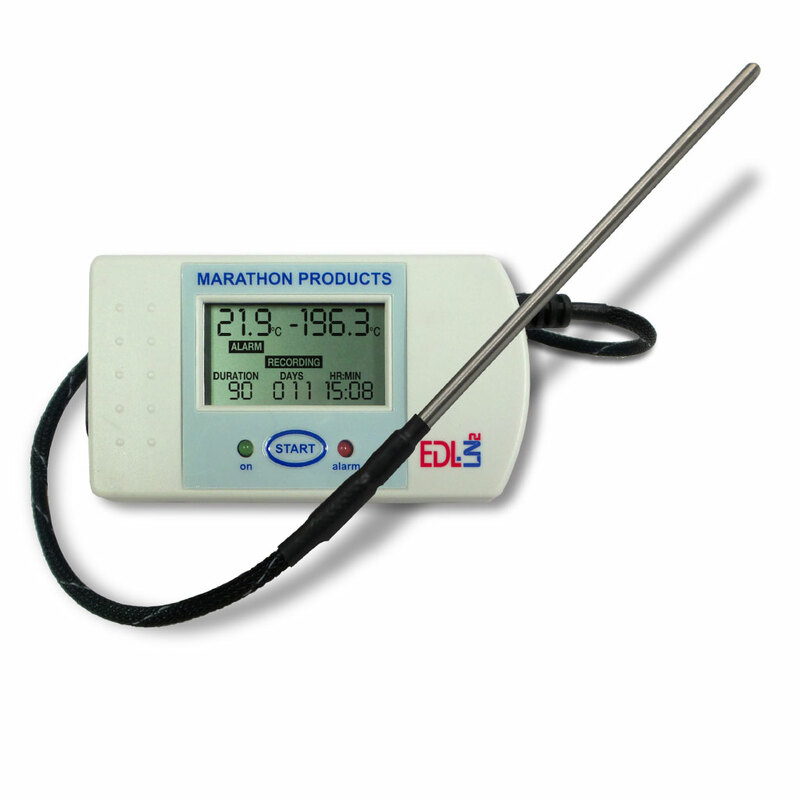 3CTEMP-USB RTD2 Temperature Logger - Marathon Products, Inc.
A multi-use, user programmable, electronic temperature data recorder with LCD display and dual sensors, for high-temperature applications. Multi-use Temperature Data Logger with Dual Sensors, Built-in Probe, and Real-Time LCD Display for Instant Acceptance or Quarantine Decisions for High Temperature Applications. The 3CTEMP-USB-RTD2 is a reliable and cost-effective digital temperature recorder for all industrial and commercial applications. It has one sensor for ambient temperatures inside the case, and one external RTD stainless-steel probe that monitors temperatures from -40°C (-40°F) up to +300°C (+572°F). 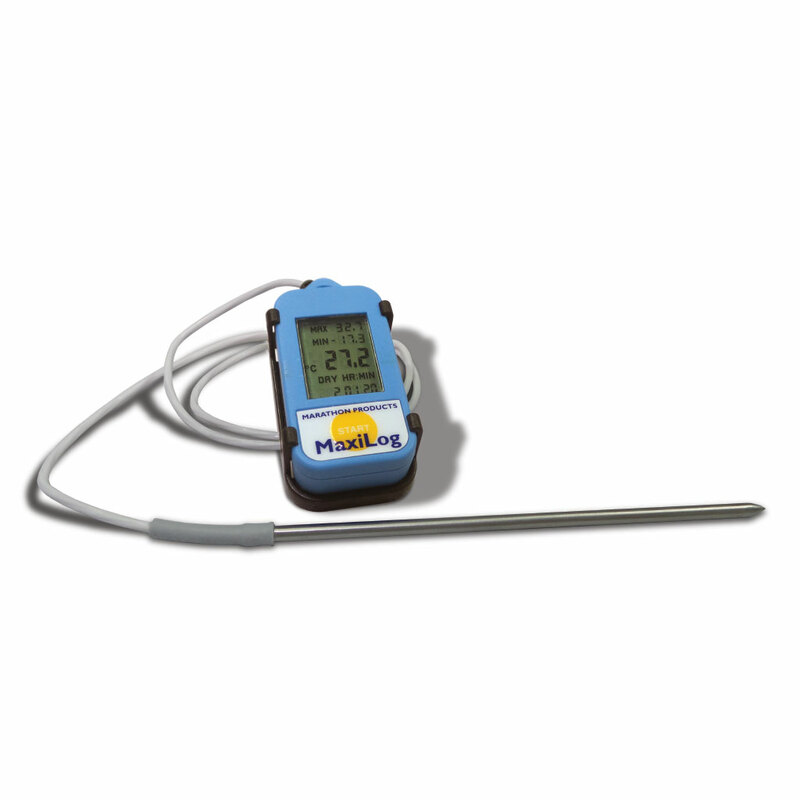 It is ideal for monitoring all of your high temperature needs. Logger Category, Description Category 2. Multi-Use. 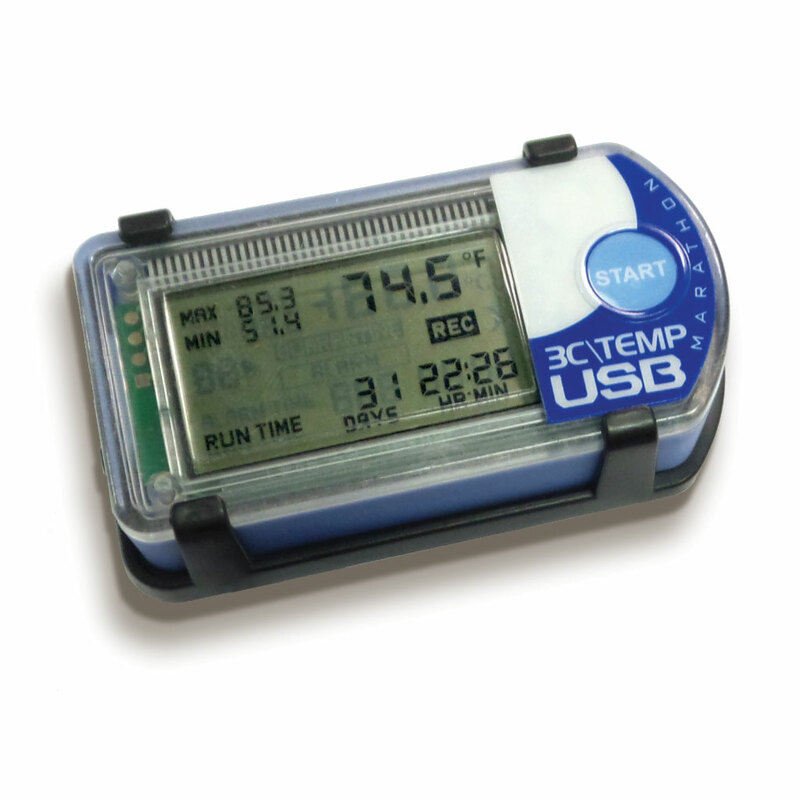 High temperature data logger with external probe, LCD screen, built-in Mini-USB connection, and a compact size.